Multi-Point digital temperature calibration locked by password. 3 memory banks for quick setting and/or recall of soldering parameters. Twin stage brush-less blower pump for stable airflow. Airflow and working time can be set as parameters in addition to temperature. Can be connected with other like units via PC. 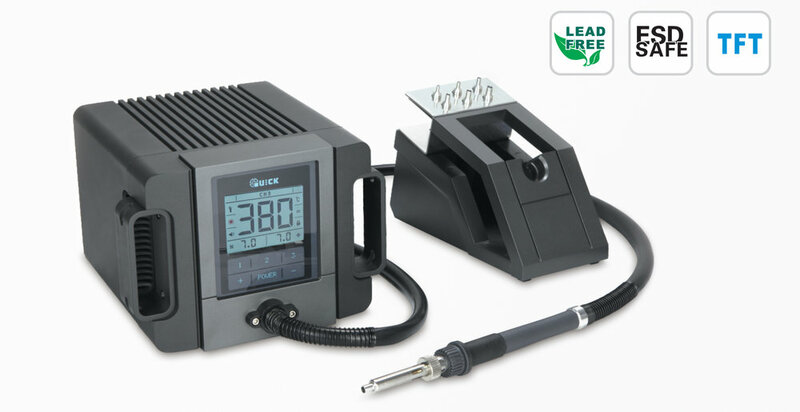 The QUICK TR1100 is an intelligent lead-free rework station. Utilizing a robust 100 watt power supply, this system is great for high temperature solder rework applications and consistent quality. The station features an all new ergonomic design, a brilliant LCD Display, and PC communication capability. 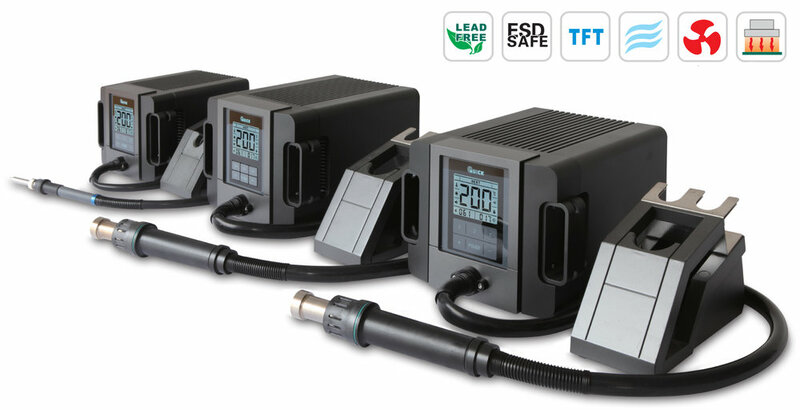 TR Series Online Monitoring Software Available Upon Request!